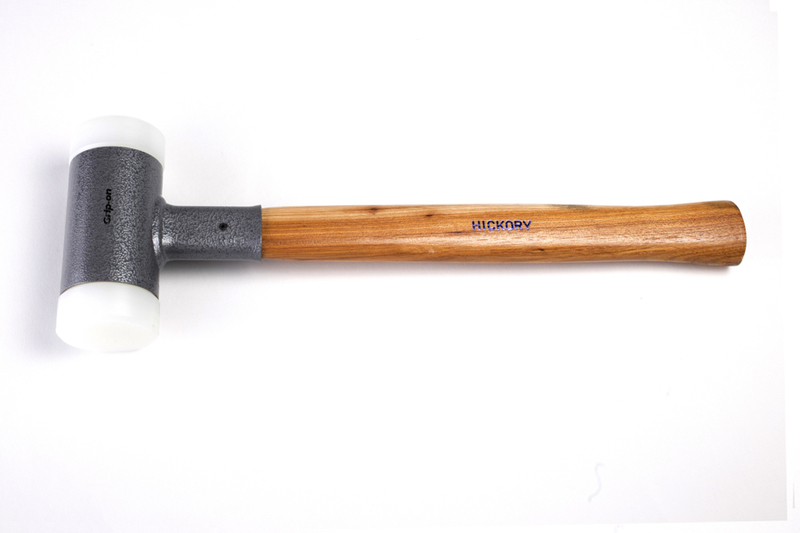 Made from quality Steel, head bare with protective varnish, American shape with smooth face. German shape made from quality Steel, head painted in black, drop forged, hardened and annealed, rust protection by poder coating, face and peen ground. Handle in ash, dual curved, natural varnish with ring wedge fixture. Hickory, english shape, made from quality Steel, drop forged, hardened and annealed, face and peen ground. Made from quality Steel C45, head painted in black, drop forged, hardened and annealed, Surface polished. Handle in ash, dual curved, natural varnish with ring wedge fixture. PAH free, tough hard head, ideal for sensitive components. Fitting, locks, furniture, car paneling or tiles. French form, head painted black, handle in ash, dual curved, natural varnish. With zinc die cast housing and wooden handle. The interchangeable cellulose acetate and nylon inserts enable individual adaptation to the workpiece. Completely robot-welded, handle-protection sleeve, very safe handle-headconnection due to aluminium wedge and safety pin, robust powder coating, maximum solidity of the inserts made from special nylon with excellent impact quality and very high durability, handle and inserts replaceable. Parquet and laminte flooring, window and door construction, drywall construction, furniture assembly, joiner’s work, sheet-metal working, positioning and adjusting of workpieces, repair work.